What’s the best fruit to pair with apples? To answer this question just look around at a few of our favorite desserts, such as apple raspberry crisp or apple blackberry pie. It is of course berries. So it seems sensible to assume that if apples and berries go together in pies, they would also go together in smoothies. 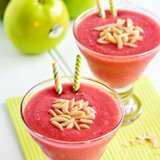 Making an apple berry smoothie is simply about balancing out the flavors between tart and sweet. 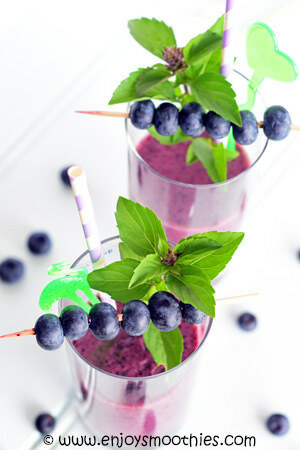 Adding berries to a smoothie is a well known ploy to add some sweetness, while apples provide the tart. 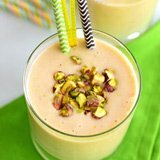 Then it's just a matter of adding your favorite thickeners, such as almond butter, yogurt, a banana or a pear and presto, you have a simply delicious smoothie. As well as tasting good, berries also have amazing health benefits. In fact berries are the world’s nutritional powerhouse. They are excellent sources of vitamin C, and also supply lesser amounts of essential minerals such as potassium, calcium, iron magnesium and phosphorus. The red and purple pigmentation means they are also high in antioxidants. They are also very low in calories and fat and high in fiber, testament to their weight loss potential. 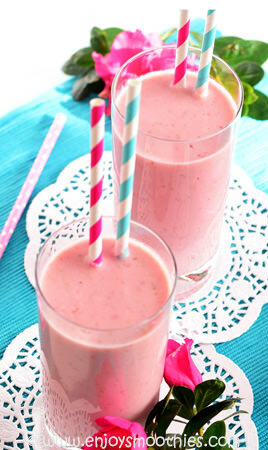 Add the apple, pear, raspberries, almond milk, yogurt and lemon juice to your blender. Blend on high until all ingredients become thick and smooth. Blend together the chopped apple, blueberries, apple sauce, almond milk, vanilla yogurt, rolled oats and juice of half a lemon. Blitz on high until all the ingredients become smooth and creamy. 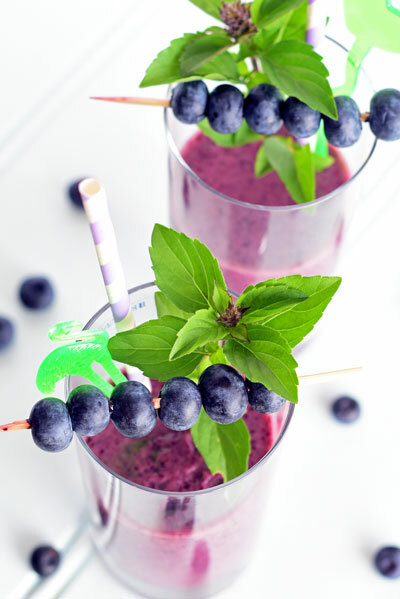 Pour into your favorite glasses, top with extra blueberries and enjoy. Core the apple and pear then chop into quarters. 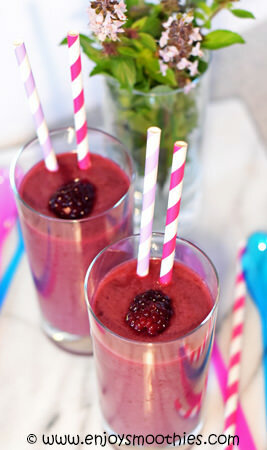 In a blender combine the blackberries, apple, pear, almond milk and ground cinnamon and pulse until smooth. Pour into two glasses and serve. Core apple and chop into quarters. I always leave the skin intact. There is so much goodness just under the skin. 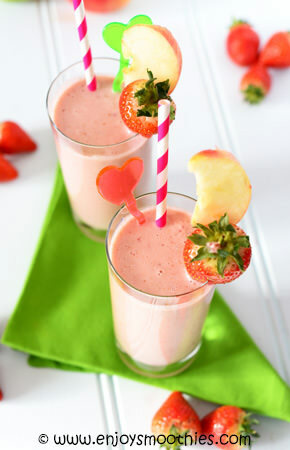 Combine strawberries, apple, banana, vanilla yogurt, almond milk and almond butter in a blender. Cover and blend until smooth and frothy.